Throughout November, the BBC has been running a season of programmes championing ‘Black and British’. It has been delving into the country’s forgotten black history, questioning whether we’ll ever have a black Prime Minister, asking people to nominate their #blackbritishhero on Twitter and celebrating Britain’s black music scene. Sometimes the nation’s art can seem overwhelmingly white – both in subject and artist. Here at Art UK we want to share with you some of our favourite black and British artists from the nation’s art collection. The artists here all hail from relatively recent times, and have had a huge impact on the British art scene. They helped to put the work of black artists in the spotlight at a time when it was underrepresented, through forming collectives, working in collaboration and curating powerful exhibitions. Some of these artists have drawn on their heritage to make art that is explicitly political and confrontational; others have produced work completely separate from issues of race. Either way, the British art scene would undoubtedly be poorer without their contributions. NB – this list is not intended to be definitive or exhaustive – if key artists are missing it is not because we’ve forgotten about them, but in the first instance we have limited our scope to those whose works appear on the Art UK site. Alongside other major figures – notably Ronald Moody, Aubrey Williams and Uzo Egonu – Bowling was part of an influential group whose art came out of London in the decades following the end of the Second World War, and who set the stage for the further impact of black British art. After graduating from the Royal College of Art (in the same year as David Hockney), Bowling moved from his early figure paintings to work in abstract – because, he said, abstract painting isn’t bound by colour or race. As Bowling’s canvases grew larger he would paint with them mounted to the walls or floor, and in the 1970s he adopted techniques including spilling, dripping and brushing – referring to his work as ‘poured paintings’. There are currently 15 of Bowling’s works on Art UK – a small fraction of his prodigious output – and looked at together in this way they are a wall of vibrant colour and brilliant abstraction, begging to be seen large, loud and proud. While Bowling has distanced his work from questions of race, he has nevertheless been a trailblazer in the British art scene: his work Spreadout Ron Kitaj was the first painting Tate Britain ever bought from a living black artist; in 2005, Bowling became the first black British artist to be elected to the Royal Academy, and he is the recipient of an OBE. The first black artist to win the Turner Prize, part of the Young British Artist movement in the 1990s, and no stranger to controversy: if you’ve heard of Chris Ofili then you may be immediately thinking of elephant dung, the Virgin Mary and offending the ex-Mayor of New York, Rudy Giuliani, before it was cool. However, Ofili’s work has evolved and changed significantly over the years. In a 2010 mid-career retrospective at Tate Britain, the Guardian reported that: ‘There is no dung and no glitter. There are no richly collaged, jangling surfaces. Instead, in the last room in the exhibition, unexpected swathes of colour lash down the canvases: imperial purple dissonant against citrus orange, saffron squealing against sea green’. The kind of cultural eclecticism we now, perhaps, take for granted can be traced back to the work of artists like Uzo Egonu, who were able to fuse Western and African styles in exciting ways, drawing on the heritage of different cultural traditions to create something new. Curator and artist Rasheed Araeen described Uzo Egonu as ‘…perhaps the first person from Africa, Asia or the Caribbean to come to Britain after the War with the sole intention of becoming an artist’. While he lived in the UK from a young age, Egonu’s work continued to reflect his West African heritage, and in 1977 he was among a group of black artists and photographers whose work represented the UK at the ‘Second World Festival of Black Arts and African Culture’ in Lagos. Elected to the Royal Academy just this year, Sonia Boyce’s work has often dealt with themes of race and gender: a visual representation of her experiences being a black woman living and working in Britain. 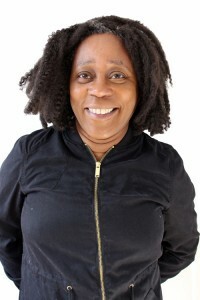 She has worked in mediums including photography, collage, film, prints, drawings, installations and sound, and in 1988 became the first British-based black artist to have a show at the Whitechapel Gallery. Boyce’s work, together with the art and curation of Lubaina Himid (below) caused artist and writer Errol Lloyd to exhalt: ‘For the first time in Britain black women artists are exhibiting together’. 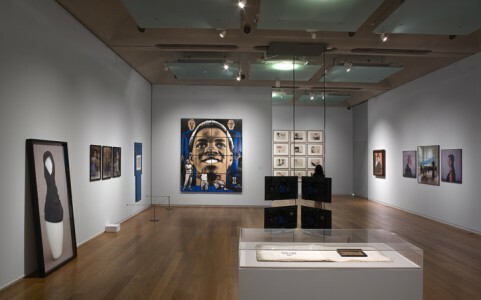 An important figure in the emergence and development of black artists in Britain in the 1980s, Himid established a reputation as a curator of black artists’ exhibitions, both gender and non-gender specific. Himid’s work Between the Two my Heart is Balanced, while painted in 1991, perhaps has particular poignancy today, with its depiction of migrants crossing oceans. There is a sense of connection with journeys undertaken from Africa: Himid’s work has often emphasised the contribution of African migrants to the development of European culture – reflective of the fact that Himid herself was born in Tanzania and moved to England shortly after. 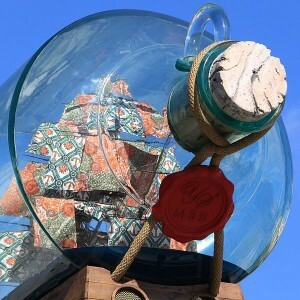 The influential Wolverhampton-based BLK Art Group featured several members whose names are on this list – among them Rodney, Keith Piper and Lubaina Himid – alongside other contemporaries including Eddie Chambers, Ian Palmer and Marlene Smith (not featured as their work is not on Art UK). Along these other members of the BLK Art Group, Rodney was instrumental in pushing for greater representation of black art in Britain. 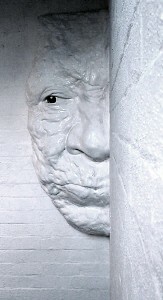 The group’s campaigning saw the landmark exhibition ‘The Other Story’ staged at Hayward Gallery in 1989. Featuring contemporary artists of African, Caribbean and Asian ancestry, the show revealed how these artists had been marginalised in the West and is described by the Tate as ‘a key moment in the British black arts movement’. Art UK features one of Rodney’s early works – How the West was Won – a satire of the film bearing the same name. The white man’s grotesque grin, in broad, bright brushstrokes leaves us in no doubt as to the message Rodney is sending. His work was always deeply political and confrontational: his piece Doublethink featured shelves of gold trophies with racist slurs engraved on them, such as ‘Black sportsmen have low IQs’ and ‘Black culture cannot make any important achievements’. Yiadom-Boakye described her works to the New York Times as ‘suggestions of people…They don’t share our concerns or anxieties. They are somewhere else altogether’. 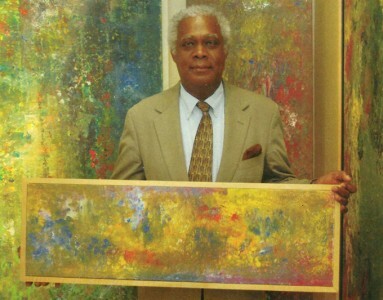 Along with his contemporary Donald Rodney (above), Keith Piper made waves in the 1980s art scene. His first solo show was held at the Black Art Gallery in Finsbury Park, and he subsequently underwent a development of style – from a largely painting, collage and print-based practice to use of mixed media and installation and utilisation of technology – helped by the arrival of affordable computers. Tam Joseph is another artist who has resisted attempts to pigeonhole his work as being only about issues of race, commenting ahead of the exhibition ‘This is History’ that: ‘I wasn’t trying to develop a distinctly black art. I was trying to develop myself as a person, through my art…’ – and indeed, he doesn’t quite sit with the other leading characters from the black art movement of the 1980s. 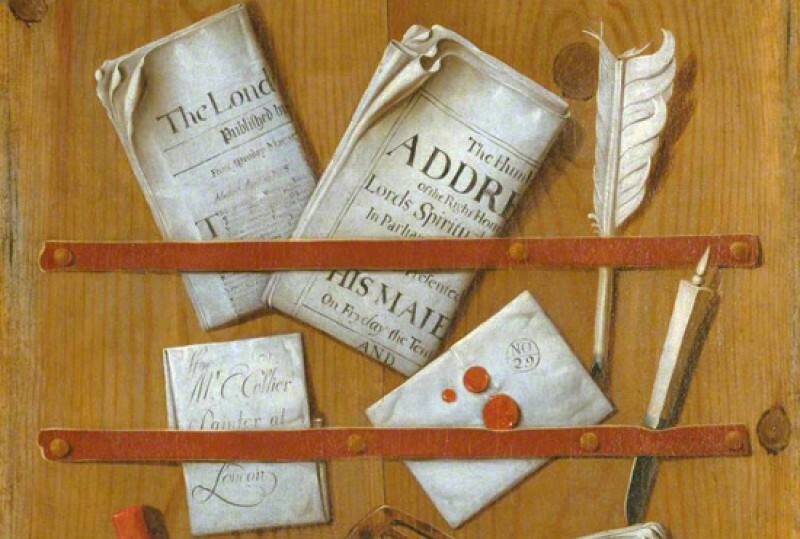 Nevertheless, one of Joseph’s best-known works – which features on Art UK – is his 1983 painting UK School Report, an indictment of the racial stereotyping the artist saw in British schools. 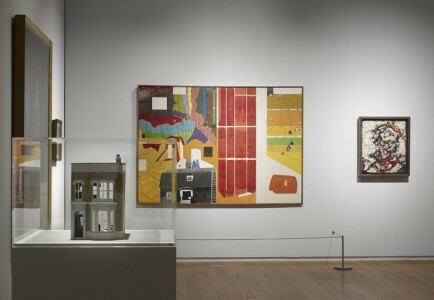 Another largely abstract artist to grace this list, Winston Branch was marked out early as one to watch, with his work shown in galleries such as the Art Lab, the crypt of St Martins-in-the-Fields and the Roundhouse by the time he graduated from the Slade. Branch has lived and worked across Europe and the USA and was recently a key part of the Guildhall Gallery’s ‘No Colour Bar’ exhibition, where his three featured paintings hung at the entrance to the exhibition.